Pathway is a game that has received little to no publicity, but a game with an interesting setup. Imagine a 2D X-Com-style game mixed with rogue-lite elements with different stories. 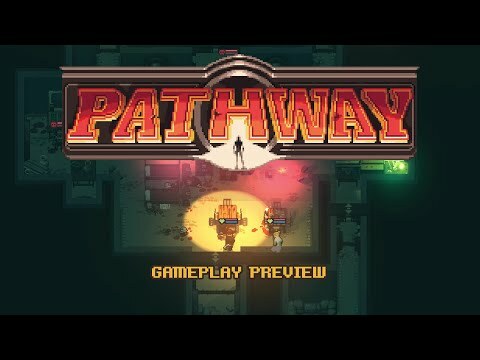 Pathway is another game published by Chucklefish, but developed by Robotality, but still has that Chucklefish development style appearance. What immediately jumps out to me in this Pathway – Gameplay Preview is the inventory and many items that can be obtained on your adventure. The combat does seem a bit weird in this 2D environment, but looks passable. The hotbar on the bottom looks pretty extensive with a font that may need some tweaking for the eyes. The map in Pathway shown in this video is vast and deep with many choices, but the actual location appearance looks a bit bland. Possibly more art in the map in the future? This game has all the tone and appearance of Indiana Jones, plus even the soundtrack sounds dangerously too close and similar. It’s difficult to see in this preview how much replay value the game will have, but with the many choices you can make in your adventures, plus the different adventures themselves is at least enough. Rogue-lite’s aren’t meant to have all your runs in a single sitting and that’s what we should at least keep in mind when evaluating the genre. I look forward to what Pathay brings to the table.